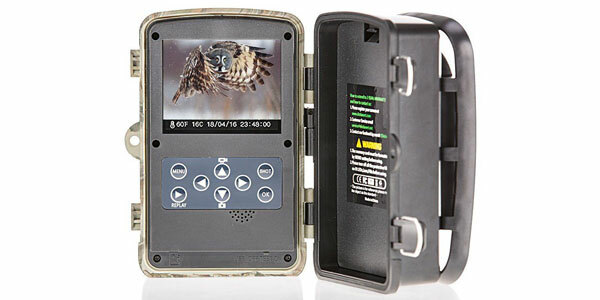 There are several brands of trail cameras that have a very good reputation among hunters. One of those brands is Moultrie. 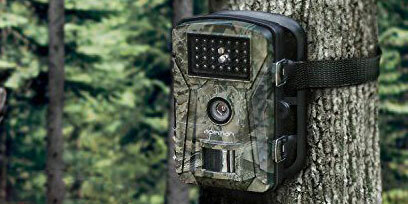 That is why we are always interested in taking a look at their updated trail cameras like this one. We like to see if they could have possibly made an already good game camera even better. Read along with us as we try to find out. This trail cam will help you get a lot of quality photos and videos of the prospective areas that you would like to hunt in. It takes both high-resolution photos (up to 3840 x 2160) and video (up to 720P). The sensors on it will start to detect movement of animals and people when they come within 60’ of where you place this trail camera. It also has a very acceptable 0.8 second trigger response time once its sensors have detected movement in the area. It even has a motion freeze setting that helps reduce nighttime blur. Its ‘low-glow’ LED system will light up the area out to 70’ feet in front of the camera but do it in a way the light is barely visible so it does not scare away the animals. This camera is not easy to program as we will discuss in its drawbacks. It’s not so much the design of this trail cam and its built-in display, it’s more because of a large number of choices you have when programming it. 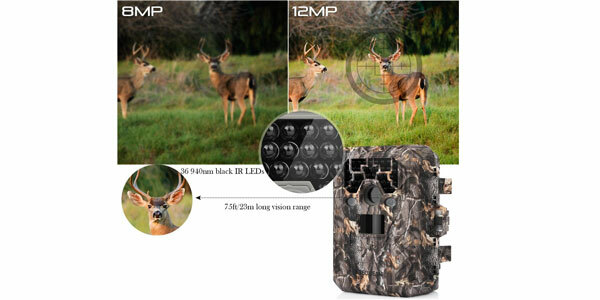 The battery life on the Moultrie M-880 Low Glow Game Camera is much better than average. Its 8 AA battery system will power it for several months if you are not shooting video with it constantly. It also has the ability to be fed by a 12V power supply. It’s a tough built trail camera too. 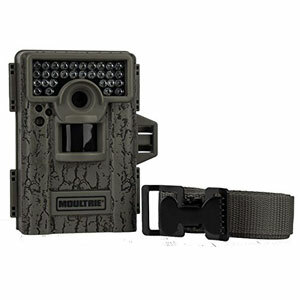 The Moultrie M-880 Low Glow Game Camera is made using sturdy flexible plastic and it’s nicely sealed against the elements too. You don’t have to worry about it getting dust or moisture inside even after it has been used in the field for several months. One of the best improvement’s that was made to this camera is its 8-megapixel nighttime photosensor. This larger se3nsor is directly responsible for increased nighttime photo quality. It’s a big help because most game animals are so active at night it’s the best time to get photos of them. 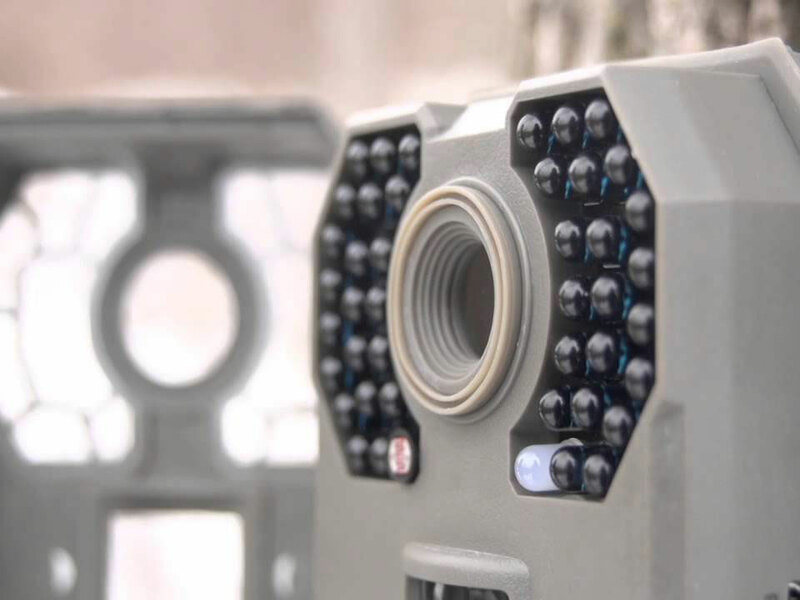 We love the way you can protect this trail camera with a password. Unfortunately, game cameras do sometimes have a way of disappearing even when you set them up on your own land. A password goes a long way to discourage this. Once you set your password the display programming feature and the photo viewing can’t be accessed by anyone without having the correct password. 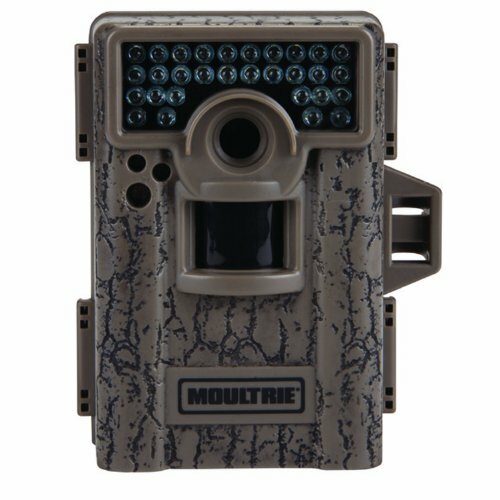 Moultrie offers some of the best warranties you will find on trail cameras. This one is backed up by a nice 2-year warranty. That is twice as long as the warranty that comes with most game cameras. 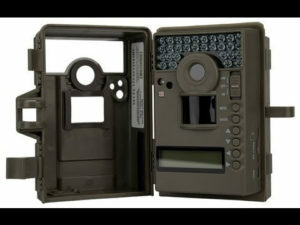 What are a few of the drawbacks of this model trail camera? First off, you will probably not be able to program it without reading the owner’s manual thoroughly before attempting it. 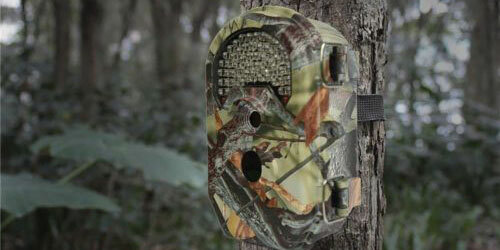 As Moultrie has improved this game camera’s features they also made it harder to operate. The included strap attachment system is not the best either. You will most likely have to improvise a little when securing this trail camera to a tree or pole. It’s a must for any trail camera to be secured tightly in order for it to work properly. 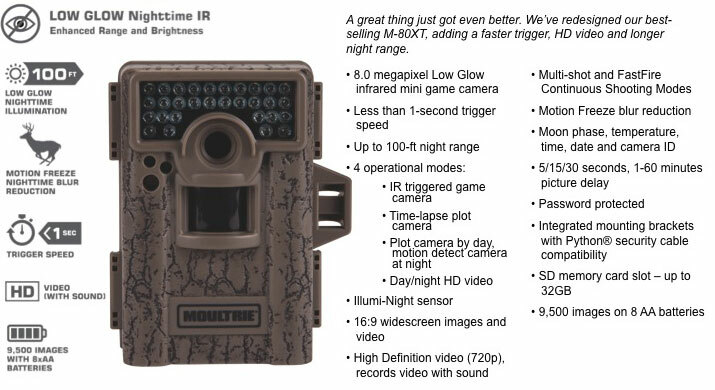 This is definitely an improvement over Moultrie’s best-selling M-80XT trail camera. They have taken the best features of the old camera and enhanced them. It now takes far superior nighttime photos than it did before. It features excellent resolution photos and videos and now has advanced motion sensor capabilities too. There are no glaring drawbacks when using it either. 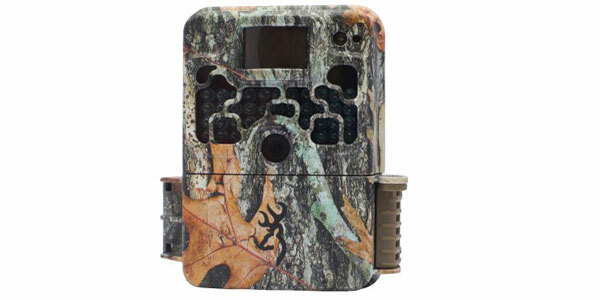 This is certainly a game camera anyone that is looking to buy a new one should seriously consider. You will not be disappointed with its performance.